The stopgap agreement allows affected immigration functions - including PERM and LCA processing - to resume for now while negotiations on the FY 2018 federal budget and legislative relief for DACA beneficiaries continue. Congress has passed a temporary spending measure to fund the federal government through February 8, 2018. The measure allows federal operations to resume while Congress continues to debate the budget and legislative relief for DACA beneficiaries. President Trump signed the measure late Monday. PERM, LCA, prevailing wage and temporary labor certification processing is expected to resume at the Department of Labor, but some delays are possible as the agency works to bring its application systems back online. E-Verify is expected to be back online soon. USCIS has indicated it will extend E-Verify deadlines to account for the period during which the system was unavailable, but Form I-9 deadlines are unchanged. USCIS and DOL are expected to provide short grace periods for cases that could not be filed on time due to the shutdown, but have not yet confirmed that they will do so. The EB-5 Regional Center Program, the Conrad 30 Waiver Program and the Non-Minister Religious Worker Program have been temporarily reauthorized. USCIS and the State Department should resume accepting applications and petitions under these programs through February 8. Passage of the temporary spending measure means that federal immigration operations will continue for now, but if Congress does not pass FY 2018 appropriations legislation or another stopgap by February 8, 2018, another shutdown could occur. Employers should resume filing labor condition applications, prevailing wage determinations and PERM applications as soon as possible to minimize delays in the event that a future shutdown suspends DOL operations once again. 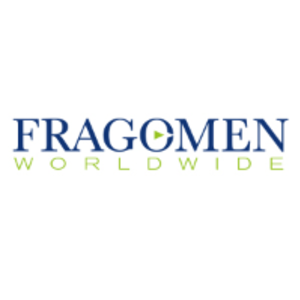 Fragomen will provide updates on post-shutdown operations as developments occur. This alert is for informational purposes only. If you have any questions about the effect of the shutdown on your organization, please contact your designated Fragomen representative.